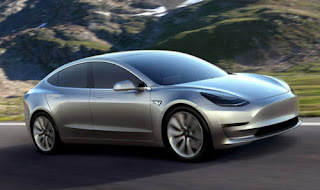 Marketing Strategy Musings - Strategy Dude (Edmund Wong's blog): Elon, it's not too late to rename TESLA Model 3! Elon, it's not too late to rename TESLA Model 3! Confusion over the upcoming Tesla Model 3 and how it fits into the Tesla model line-up is a great example of a brand architecture gone wrong! Sorry, Elon, you're a great visionary, but not a brand strategist. While trying to be cute to spell a word with his cars, Musk wanted to spell S-E-X but Ford stopped them from making a Model E. So, being clever, he chose to make it the Model 3 (a backward E). And now there are rumors of an upcoming compact crossover called the Model Y, modeled after the Model X, to spell S-3-X-Y. Really?!? It's imperative for automakers to have a clear brand architecture and naming convention to signal to consumers how their portfolio of cars fit together as a lineup. Let's face it -- consumers are not that smart or too lazy often times to try to understand a brand's cleverness. Was anyone else besides Musk really thinking S, X, and 3 had a hidden meaning? Acura learned a hard lesson in the 1990s when research showed consumers did not recognize the Acura brand and could not associate the beloved Legend and Integra model brands to their parent brand Acura. So they switched to the more common alphanumeric naming convention that most luxury brands use today, such as RL for the Legend. While RL is not as cool sounding as Legend, the intent is to concentrate the brand equity on the parent brand Acura. So if consumers can't recall if they have the RL or TL, the hope is they can at least say, "I have an Acura sedan." It's similar to how people say they have a Bimmer or Mercedes, even if they can't always name the exact model letter or number. Tesla will eventually need to evolve its brand architecture so consumers can understand how the cars differ. Model S and X model names were a great start. Even the "battery configuration options" (e.g., P100D and 90D) make sense. It's really the Model 3 that are messing things up for several reasons. It deviates from the 1-letter naming convention like "S" and "X". Also, "3" also is the 3rd generation of Tesla's vehicles, but when consumers hear next generation, they assume it will have the most advanced technology in it. But, it's really being positioned as a more "affordable" version of the Model S, as Musk keeps proclaiming! The Model 3 runs the risk if greatly disappointing its new owners if it doesn't meet their over-inflated expectations. BMW is one of the cleanest and classic case studies in brand architecture. For decades, it's naming convention for its models has been simple and logical. 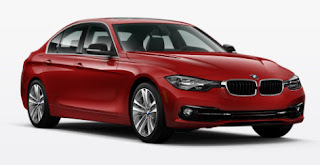 Take the 3 Series, 5 Series, and 7 Series sedans. Folks knew that a higher number meant it was bigger, better, and more expensive. In past years, the last 2 digits referred to it's engine size. (e.g., 330 was its 3 Series sedan with a 3.0-liter engine). It's crossover SUVs all start with X and follow a similar numeric convention X3 and X5. It's not too late, Elon. Rename the Model 3 before you deliver the first model. Abandon your cutesy brand strategy!